Wouldn't it be nice to look forward to your workouts for a change? Welcome to Gracie Jiu Jitsu Cabot. 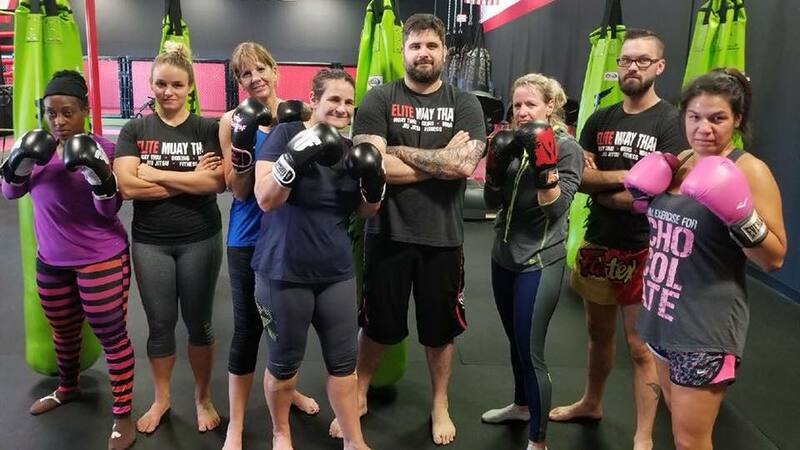 Our KickFit Fitness Kickboxing classes are the answer for anyone who dreads wasting time on the treadmill or suffering through another class at your big box gym. We have combined the best aspects of Muay Thai self-defense with high-energy fitness classes that are truly effective. And we have a blast each and every day. Don't believe us? Come see us in Cabot and check it out today. Just fill out the short form on your screen to get started. What Makes Our KickFit Fitness Kickboxing Classes In Cabot So Effective? The simple answer is, we're not training just to train. We help you establish goals and challenge yourself to be better than you were the day before. We keep you motivated with hands-on instruction and incredible support. And we give you access to a dynamic routine where no two classes are the same. At Gracie Jiu Jitsu Cabot, we do it all so that you can enjoy coming to the gym and feel accomplished the minute you leave. Muay Thai Kickboxing teaches you how to strike with every limb of your body. And in our KickFit Fitness Kickboxing Classes, you can hone those skills every day. No matter what position you find yourself in - no matter how large the opponent or how off-guard they catch you - you'll be ready to act with power and speed to defend yourself and your loved ones in no time. We're excited to show you why our KickFit Fitness Kickboxing Classes can produce sustainable results and keep you motivated like other fitness programs simply can't. Come see us at Gracie Jiu Jitsu in Cabot for high-quality coaching and tons of fun in every workout. Thrilled to have a Gracie gym nearby. The no-nonsense training for my 7-year-old son is a beautiful thing. Great to see the kids fall into an exercise routine, learn techniques and get hands on. Firm fair and consistent. My son feeds on the discipline and reward system. Very experienced, patient and professional Instructors. I have myself and my son in the class and we both enjoy a safe and effective self defense environment.